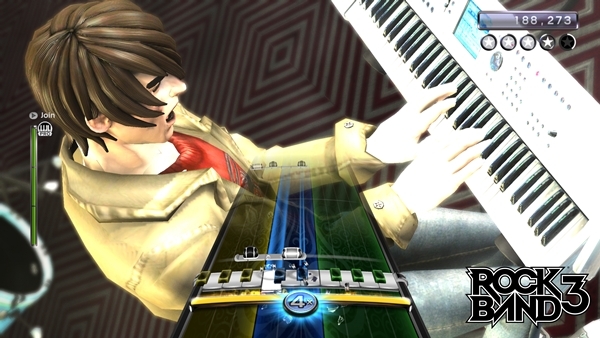 When it comes to rhythm games Rock Band definitely takes the win, and now with the release of Rock Band 3 and Pro Keys and Pro Guitar, well let’s just say that “win” may be an understatement. 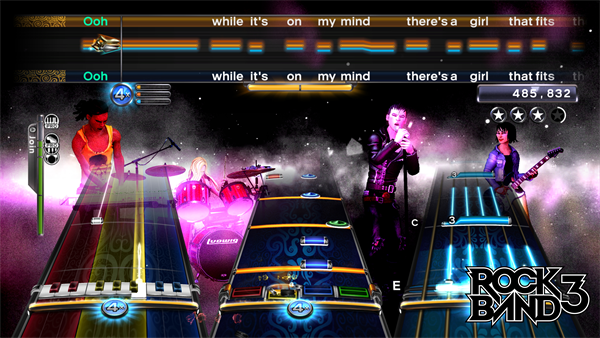 Rock Band 3 is packed with new features, instruments and (in my opinion) a new look too. I got giddy at the moment I saw my band walking down the street during the main menu screen. You’ll find that right away things are different here than in previous versions of Rock Band titles. I’m sure that just by looking at the above screenshot, you’ll be able to spot a few differences already. The menu screen has gotten a facelift, giving us several options to take the world by storm. You’ll be able to pass challenges and goals, do tutorials, learn your instrument (mainly for use for Pro mode) and customize your band even more now. 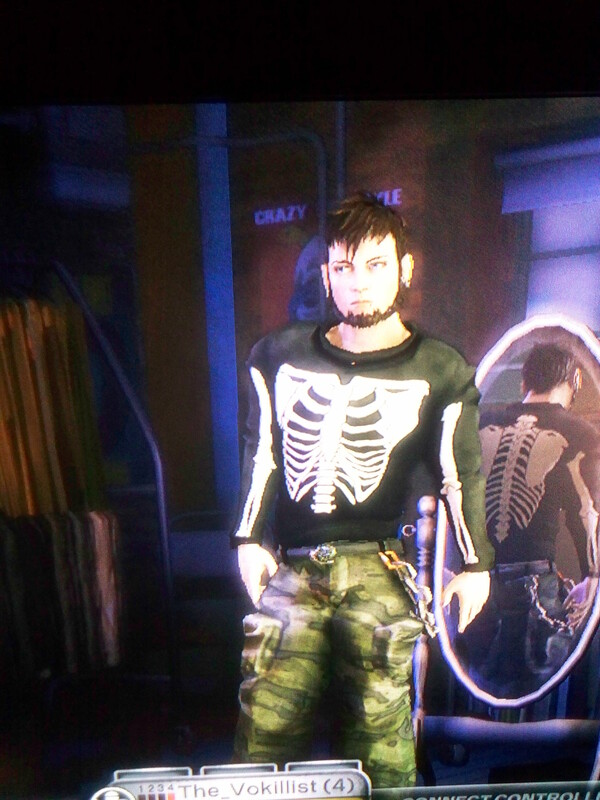 An identical Rock Band 3 version of myself… literally! 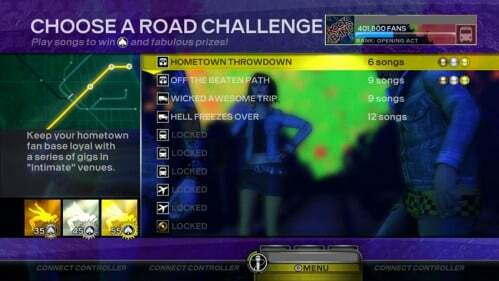 Rock Band 3 has gotten rid of currency completely, and now is giving us the ability to unlock items by completing challenges and for practically just about anything. The customization ability in Rock Band 3 is far superior than its predecessor, now allowing us to alter the overall facial look of our characters by changing the mouth, eyes, nose, forehead and chins of our rockstars to be. There is even new apparel to dress our characters in, as well as many of the previous apparel used in previous titles. You’ll even be able to place tattoos all over your characters’ bodies, and yes, that includes the back and your legs. Throughout Rock Band 3, you’ll earn stars for your performance. As you play through each song, you’ll earn bonus stars for completing designated goals for that set list, such as holding a streak or how many times you can go into overdrive during the song. When moving through the career mode of Rock Band 3, it really doesn’t take much time at all to go from zero to rockstar hero. In my opinion, it’s better to play through this game through the goals menu, as you’ll have more challenging experiences for specific instruments. There is even a challenge for completing 5 songs from any band that Dave Grohl has been a part of, which actually there happens to be more than you would think. 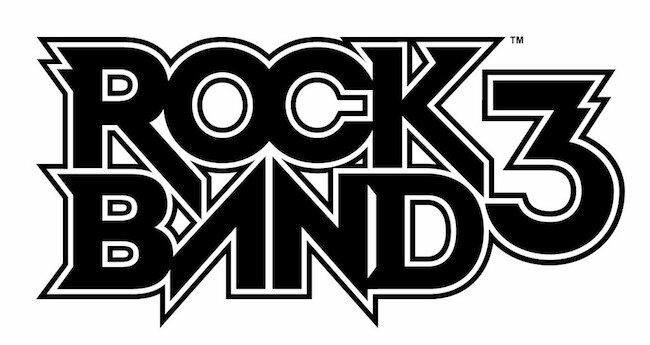 The soundtrack for Rock Band 3 offers 83 songs in total, from The Doors to Paramore to Foreigner and Slipknot to Whitesnake and Ozzy to The Who and Queen. 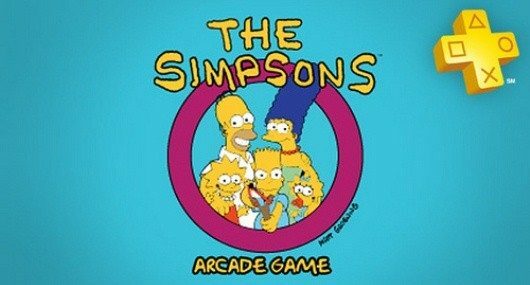 There were definitely a lot of songs that I remember growing up listening to that were past my generation, but overall were very fun to play around with. The soundtrack really does have a little of everything from everyone and from every genre. A lot of the songs have many opportunities for young aspiring minds who are interested in Pro Keys to take the reigns and master the art of Expert Pro Keys. Pro mode, which is designed as a learning tool to help you actually learn to play the the instrument, is beyond anything that I could have ever dreamed of for a rhythm game. The sheer fact of being able to teach yourself these instruments is purely satisfying. 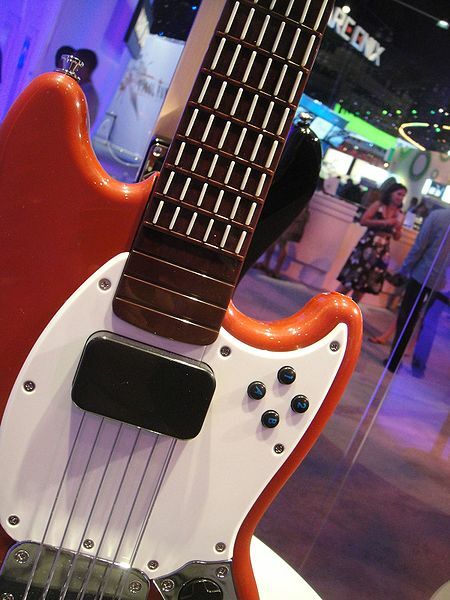 The Pro Guitar is an actual six-string guitar that teaches you actual chords and riffs. It couldn’t get any better than that! Once I got the game, I went through it just like any other previous Rock Band title, shredding my way to being victorious on the guitar. Although, I only had the opportunity to experience Pro mode through Pro Keys, but my time with it has been nothing but inspirational. 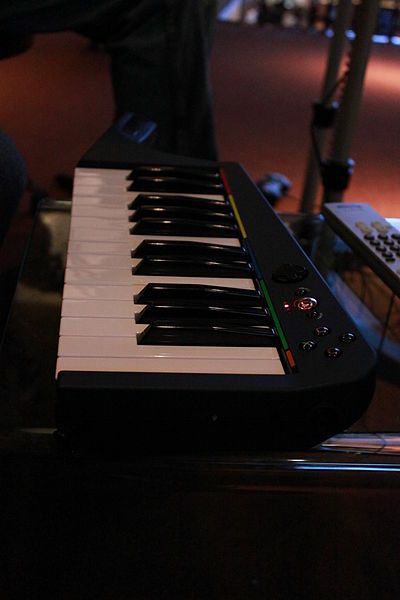 I grew up attempting to play the piano, and I fell in love with the idea that Rock Band 3 was going to incorporate a keyboard. 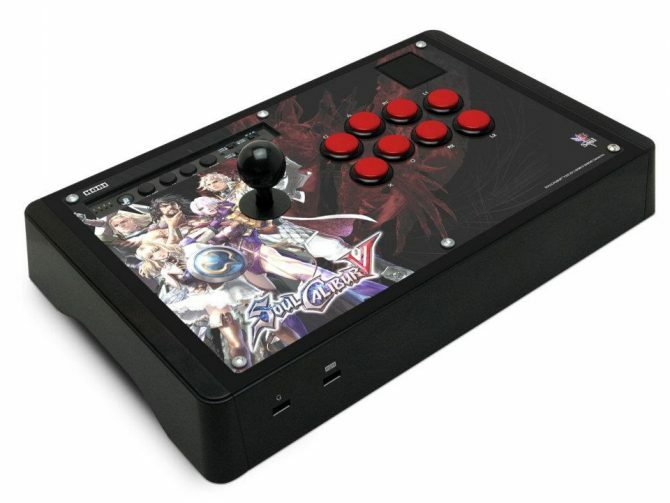 When I heard that Pro mode was involved, I collapsed at that fact that I could finally teach myself the piano the way that felt most comfortable without having to sit up properly or pay any monthly fees to an elderly woman with a bad case of the grumpies. Aside from Pro mode, I really felt that the overall look of Rock Band 3 got a facelift. 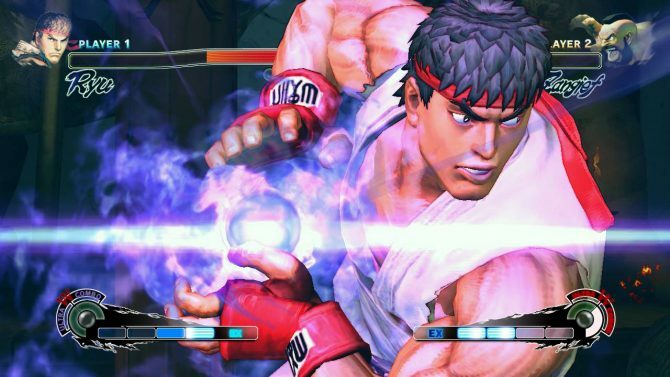 The visuals look ten times better than previous titles and notice that your characters’ make a bigger appearance this time around as they are featured during the main menus, song selection screens and even in practice mode. The best part of all is that every song that you had downloaded previously still works with Rock Band 3! Which is definitely a plus for those of you who were wondering if all DLC packages you’ve purchased for your previous Rock Band titles were going to work, well they do! Although, you won’t be able to play keyboards or Pro Guitar for them, you will still be able to play them on guitar, bass, vocals and drums. Overall, I felt that Rock Band 3 had it all. It really was a fun game to play, and when you have multiple people playing with you in your band, it’s even better. In my opinion, this really is the best Rock Band title to date. I mean, The Doors! Come on! It can’t get any better! I can only imagine what the future holds for this franchise. 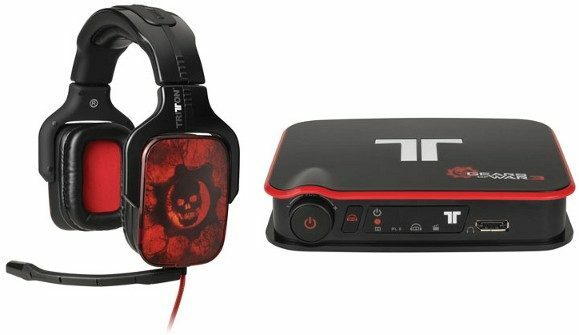 All in all, if you enjoyed previous Rock Band titles, then this is a must-have, plain and simple.